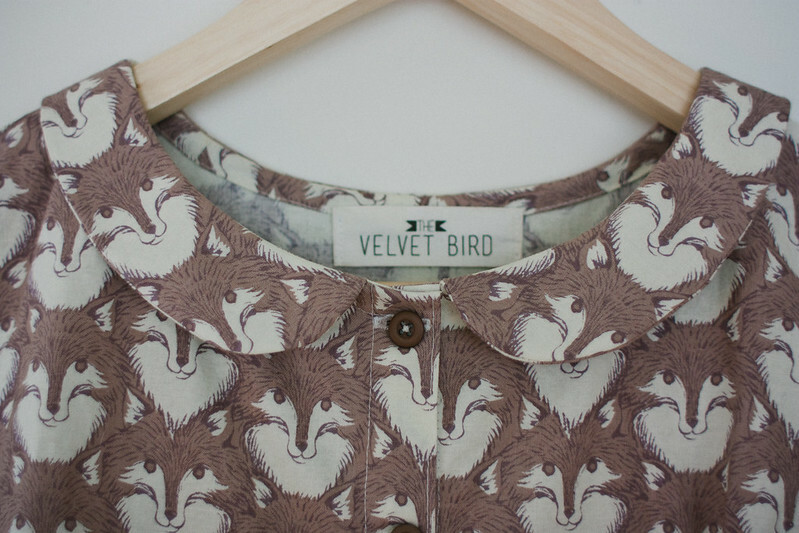 the velvet bird: You're a Fox, Baby! Well, as it turns out, I haven't put anything new out in my store in quite awhile. I honestly was feeling kind of uninspired and unmotivated to create new things. Which is a super weird feeling for me! I've made a handful of new things, but in the end they just weren't me. I realized I was trying too hard to go down the route of more modern and simplistic styles, which is a style I really enjoy and admire. But I realized if I'm not making a dress that completely thrills me and just feels perfect, then I just can't get myself to go through with finalizing the piece and releasing it. So I have decided to stick with what suits me, no matter how silly and how many collars and pintucks I have to painstakingly add (which I extremely enjoy making, so its rather painless actually)! 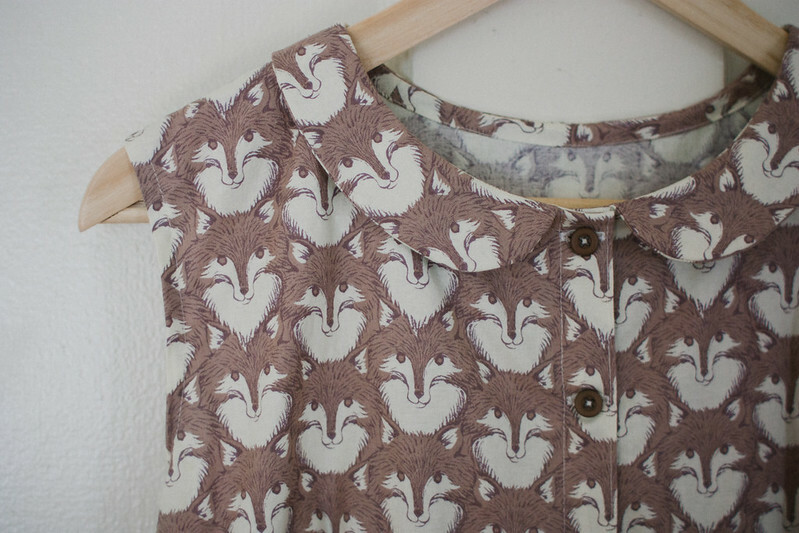 This fox fabric is kind of limited, but there are lots of other choices! Such a pretty dress! I love all the different colored fabric options as well. Congrats on being pregnant! I am expecting a little boy this September. It is my first and as you I am a maker. I make bags and also had a few months in the beginning where I could not get motivated to work on new designs also. I think it is just your body telling you to relax and take a rest. But it looks like you are back at work! Anyway sending many blessings to you and the little one in your belly! 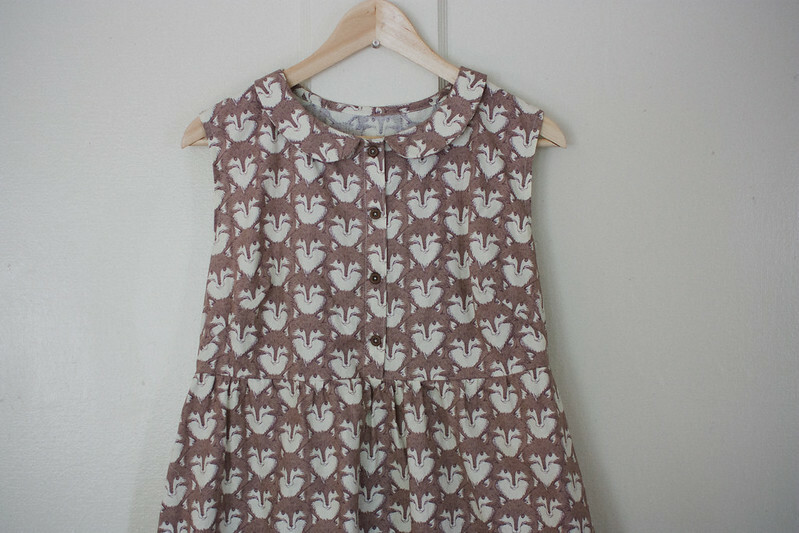 This dress and print is so dreamy! Love! 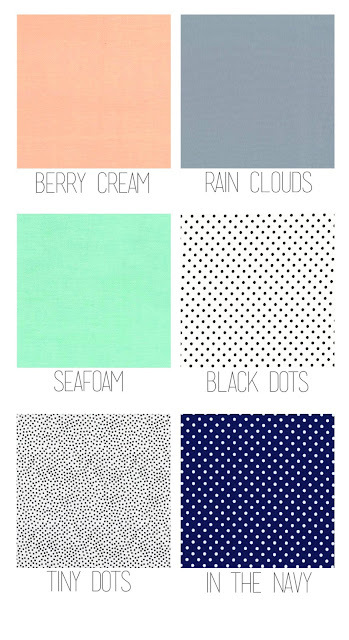 Cutest fabric ever? I think so! Oh I am absolutely in love. This dress is perfect, and you are so talented! I am absolutely in love with the fabric. 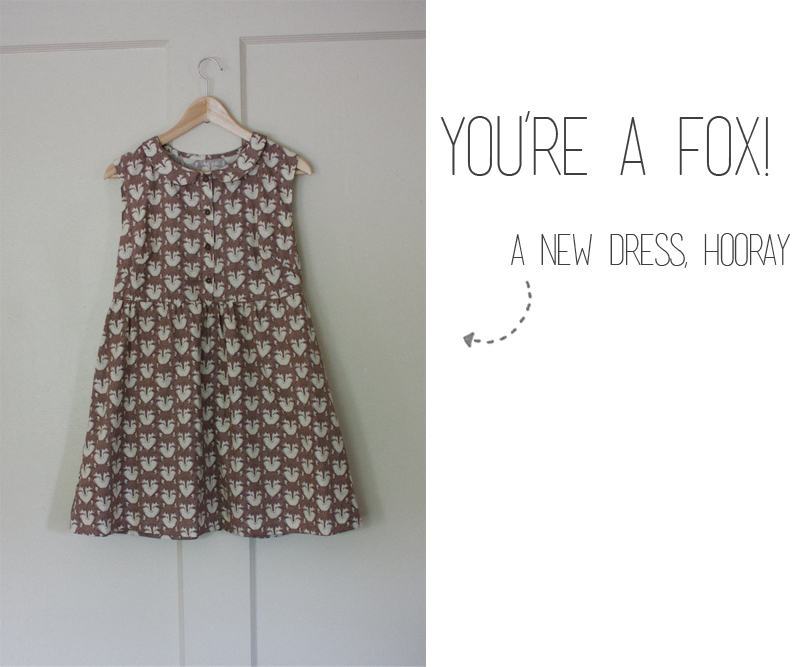 there's a little fox obsession going on around here and this dress is the cherry on top. Lovely! Nice frock pattern for my daughter. She is like to wearing frock.